Garden design doesn’t have to be a complicated task for anyone. It’s not very difficult to come up with a garden layout that will make people comfortable and happy. Make it feel and look good and you’ll be halfway to the point of designing your perfect garden. Basically, you can begin by going out into the yard area and simply sketch out the available area for planting your garden. After sketching the layout, you can include planters, flower beds, raised beds plus everything else you’d like to include in your garden. When it comes to the time you want to add plants, furniture etc in your garden, be sure to refer to your garden sketch. 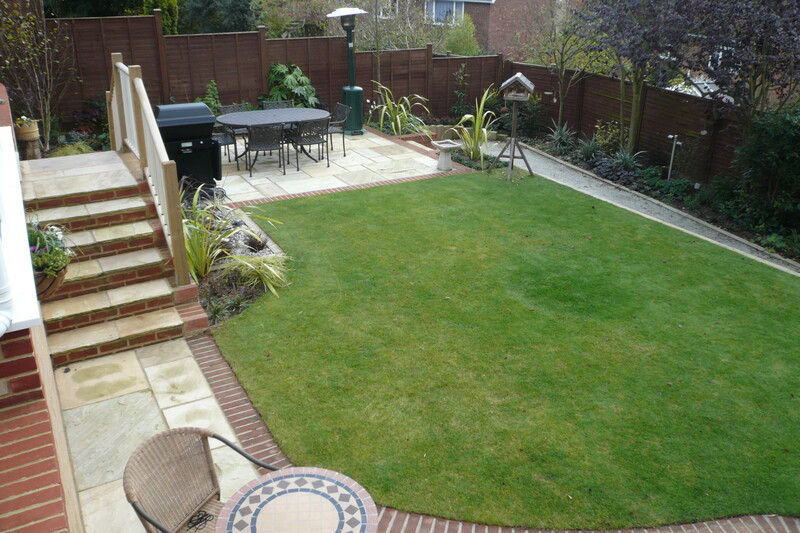 Alternatively, you can use a garden design software to come up with the layout of your garden. Examples of this software include Garden Planter 3 and Garden Puzzle. With the latter, you’ll be able to visualize your intended plants and the spacing. Adding the right lighting to a garden can make your garden come to life at night. There’s a ton of different options available such as solar path lighting, landscape spotlights, pond lighting and more. What’s right for your garden depends on the layout and features you currently have. Checkout the Homify website if you’re in need of some inspiration for great garden lighting ideas and designs. For the pathways to offer comfortable passages, they need to be wide enough. The main thoroughfares should allow for the passage of not less than two people. This means that the width of such must be 5 feet or more. For the paths that are considered secondary, you should ensure that they are at least 3 feet wide. To avoid making the stairways and steps appear daunting, ensure that they are gently ascending. For optimum comfortability make your steps not to be more than 6 inches. There are no better outdoor entertainment areas like patios and decks. In your garden design, take mingling and dining into account. To do this, you must take a rough guess at the number of guests you’re likely to have on a regular basis. After that, leave a four-square-foot for each person. The paving in your garden must be able to provide a footing that’s secure. Loosely set pavers or slick surfaces that wobble are likely to cause accidents. Therefore, avoid materials that are not able to offer enough traction during winter and rainy seasons. Under the pergolas, archways and arbours, there should be enough room for the head. Ideally, there should be a minimum of 7 feet. This ensures that no head accidents occur as a result of butting of heads. You should ensure that there’s enough room for your plants to grow. You can plant some plants that can be replaced after maturing or those that are quick-growing and therefore can be removed once they mature up. Though a lawn can be very costly and quite intensive in terms of labour, no other surface has the same it offers. It’s good for playing, comfortable and very yielding. So make use of it wisely in your garden. With this information and these tips, you should be able to come up with a great garden design for your home. Add a personal touch to whatever you bring as a feature in your newly designed garden and use it to reflect your personality soar the image of your home. 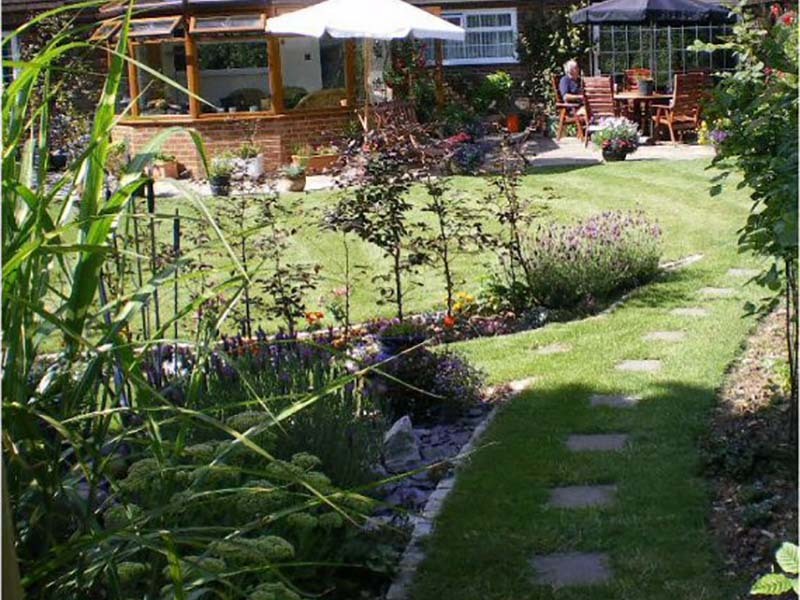 For more garden designing advice and to get more complex garden designs installed, talk to the specialists here at Kite Landscapes on 01344 886 331.